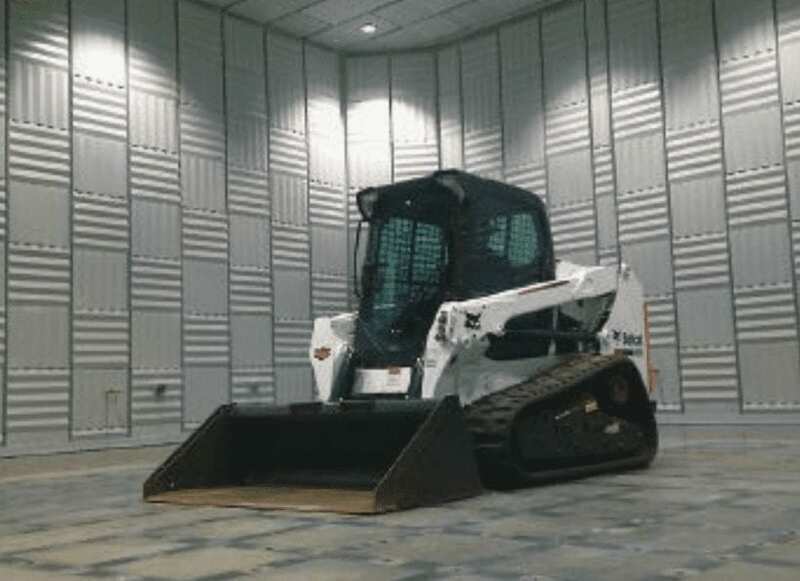 Eckel Noise Control Technologies designed and installed a test chamber for Bobcat Co. and Doosan’s Acceleration Center in Bismarck, N.D. It has a 200 Hz cutoff frequency, meets the ISO 3745 standard for transmissibility and has a base ambient sound level of 22 dB(A). The chamber is big enough to hold some of Bobcat’s larger equipment, like this skid-steer loader.